Two cities. Two races. One weekend. 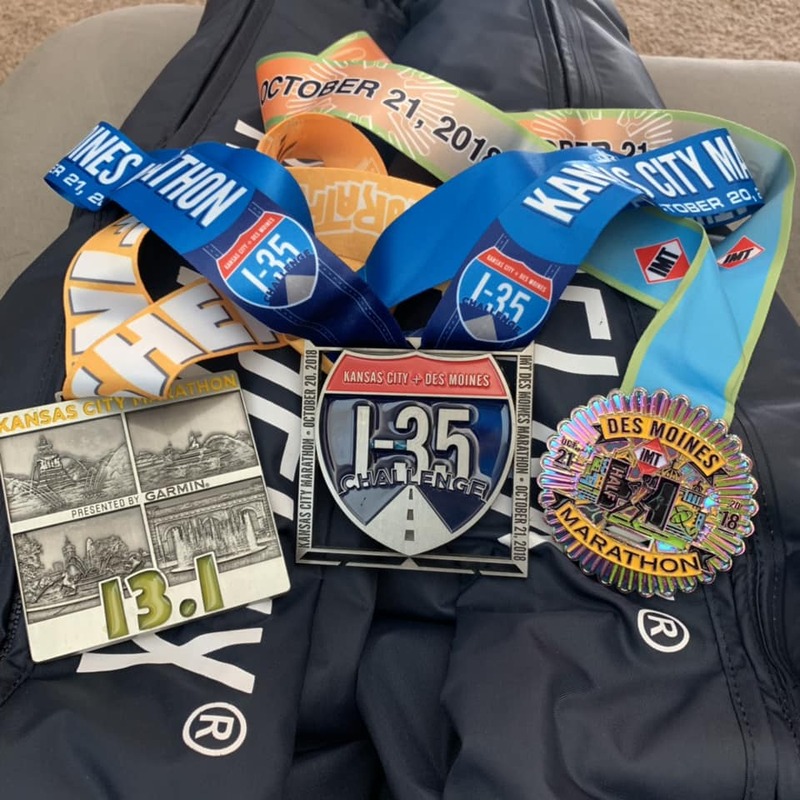 The I-35 Challenge is a partnership between the Kansas City Marathon presented by Garmin and the IMT Des Moines Marathon. Kansas City is Saturday, October 19, 2019 and Des Moines is on Sunday, October 20, 2019. The goal of the challenge is to complete both races. It is anticipated that the I-35 Challenge will sell out so if you plan to participate, don’t wait to register once registration opens. Thursday, October 17, 3–8 p.m.
Friday, October 18, 11 a.m. – 8 p.m.
Friday, October 18, 3–8 p.m.
Saturday, October 19, 10 a.m. – 6 p.m.
Click here for the official I-35 Challenge Training Program developed by Olympian and IMT Des Moines official training consultant Jeff Galloway. Click here for the weekly view of the I-35 Challenge Training Program developed by Jeff Galloway. Click here to view the I-35 FAQs. Click here for the I-35 Challenge Facebook Page.